Budapest, the bright capital of Hungary, bisected by the Danube river giving this one city two personalities. Buda built on a series of hills and known for its old town where as Pest is flat and busy with an assortment of bars, cafés and gourmet restaurants. Budapest is a year-round destination, though it fills with tourists in July and August. The most pleasant time of year to visit is May to June and September when temperatures remain warm but visitor numbers and hotel prices are significantly reduced. Although flights prices may be a little more expensive, the winter months can offer that magical dusting of snow upon the grandiose buildings, which can make this magnificent city even more magical. Budapest’s extensive transportation system is run by BKK (Link), Which offer a metro, tram, bus and rail service. All the lines connect together to make your transportation experience as simple as possible. Hungary has a mild continental climate. There are four distinct seasons, with a very warm summer from June to August where temperatures can rise to as high as 35°C (95°F). Spring and autumn are mild, while winters are very cold, as low as -10°C (14°F), although expert some snow during your winter city break. 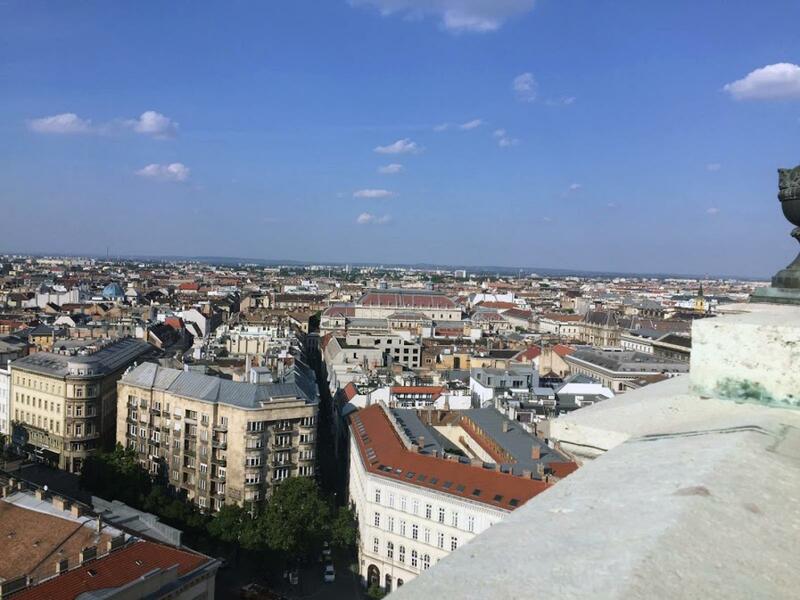 Although Budapest is the capital of Hungary there can be quite a language barrier, as English isn’t as widely spoken as other European countries like Amsterdam. We would therefore advice to learn some basic Hungarian Phrases before you arrive to get the most out of Budapest. C, E and F type plugs generally fit on Hungarian electricity sockets.